BETA maintains the Jackrabbit Trail, one of the park’s premier ski trails. Photo by Phil Brown. 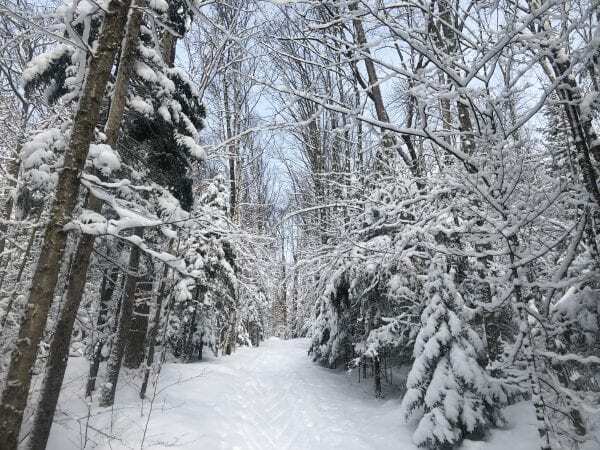 The public has until Friday to submit comments on the Adirondack Park Agency’s proposed guidelines for backcountry ski trails. The agency could vote on the proposals as early as its March meeting. Two regional organizations representing backcountry skiers—the Barkeater Trails Alliance (BETA) and the Adirondack Powder Skier Association—both support the guidelines, which, among other things, would allow wider paths where trails curve. Ron Konowitz, president of the APSA, called the guidelines “a giant step forward” for backcountry skiers. 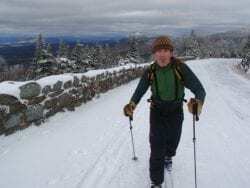 If the plan is approved, he said, it could lead to realization of a longtime goal before next winter: an extension of the Wright Peak Ski Trail, which now ends at the Algonquin Peak hiking trail. BETA Executive Director Josh Wilson says the guidelines will improve the experience of backcountry skiers. He does think they could be improved to minimize alteration of terrain during trail construction. The APA proposes to adopt guidelines for three types of trails: ski touring trails, for rolling terrain; backcountry ski trails, for steeper terrain; and skin tracks, for accessing slides and other skiable terrain (often using climbing skins). 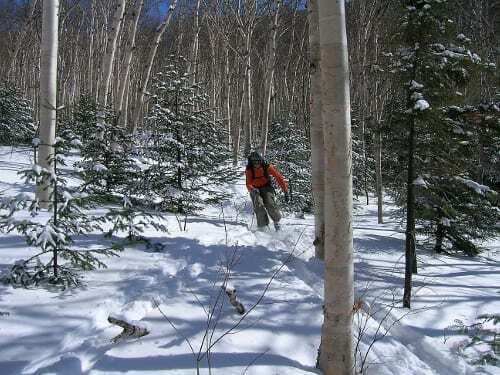 Currently, few trails in the Adirondacks are designed for backcountry skiing. “We like that the guidance recognizes the value of purpose-built trails for an activity like backcountry ski touring,” Wilson said. The guidelines would establish standards for width, grade, and trail maintenance. For more details on the ski-trail criteria, click here to read our earlier story. Or click here to read the guidelines. Environmental groups generally support the APA proposals, though they have some concerns. The Adirondack Council and the Adirondack Mountain Club argue that the proposals require an amendment to the Adirondack Park State Land Master Plan. “The council supports backcountry skiing; we just want to see it done right,” said Rocci Aguirre, the council’s conservation director. Peter Bauer, executive director of Protect the Adirondacks, wants the guidelines revised to protect natural resources. For example, he contends that all work should be done with hand tools and that rocks and boulders should not be removed. David Gibson of Adirondack Wild contends that the trail width under the guidelines—up to 12 feet on curves—is inappropriate. 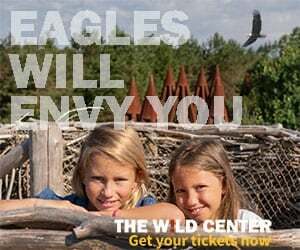 Such trails, he said, “have no place in muscle-powered skiing on forest preserve, particularly in wilderness,” and would violate the standard for cross-country ski trails as defined in the State Land Master Plan. 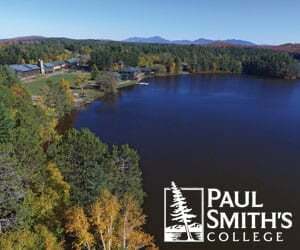 The Adirondack Park Local Government Review Board, which represents the park’s municipalities, is backing the proposals. “The board believes that backcountry skiing is a low-impact, muscle-powered activity that will be good for the economy of the region and that will not have a significant negative impact on the environment,” said Fred Monroe, the organization’s communications director.